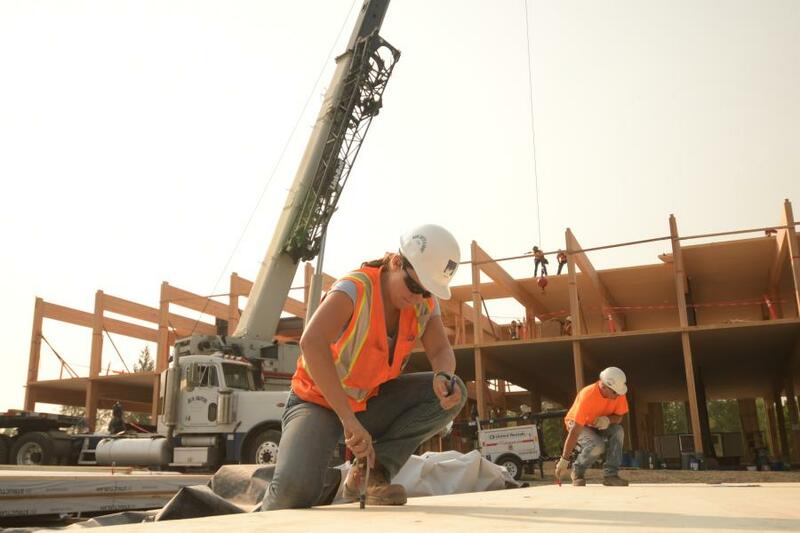 Despite a few setbacks, tall wood building construction is thriving in the United States and beyond. 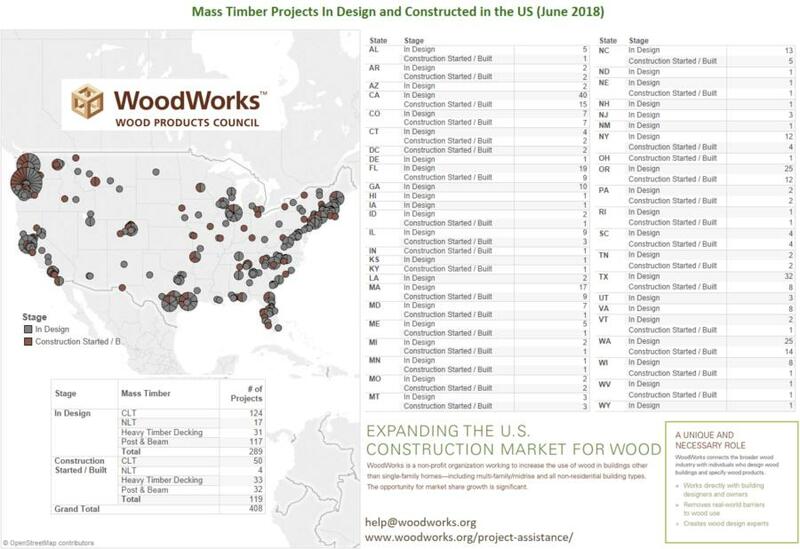 As of June 2018, more than 400 mass timber projects have been completed or are in the design stage, according to WoodWorks, which provides education and free project support for commercial and multi-family wood buildings. Mass timber is defined by products that are engineered and consist of smaller pieces and are assembled into larger pieces. Two recent setbacks caused some criticism, but didn't stall industry momentum, said Timm Locke, director of forest products of the Oregon Forest Resources Institute. "A 12-story project known as Framework, which was planned for the Pearl district in Portland, was put on hold by the developer for financial reasons," he said. "It would have been the tallest wood structure in the United States. Now it's likely that a 12-story apartment building in the Vancouver, Wash., waterfront development will be the first in the United States to go that height. 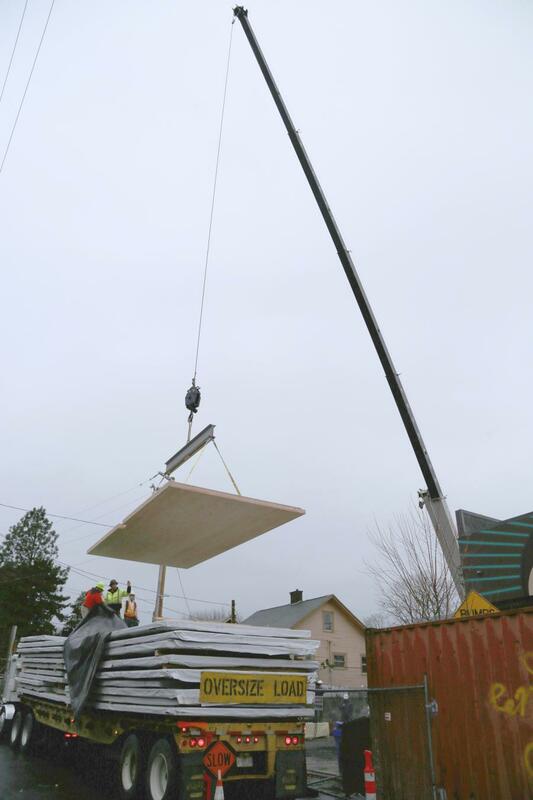 "Also, there was a manufacturing defect in a few panels used at the new Peavy Hall in Corvallis. The problem was identified and corrected, but it caused some tongues to wag." 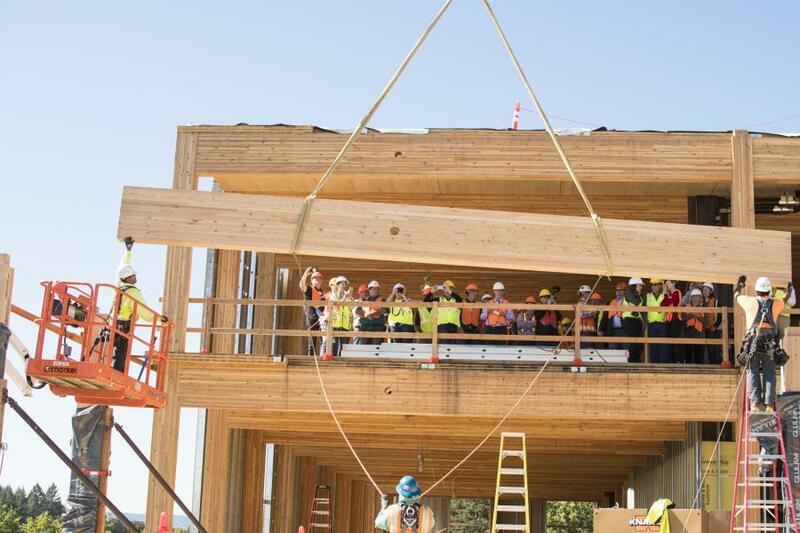 In August, the state of Oregon became the first state to adopt code language providing for taller wood building construction in Oregon. The approval provides greater predictability for owners, developers, contractors and designers to have additional choices in construction, according to the State of Oregon Building Codes Structures Board. It also offers assurance that if state standards are met, local governments will recognize these taller buildings. National building code committees are not expected to recognize taller wood construction until 2021, however, the Oregon Building Code Division has been working with manufacturers, designers, contractors, fire officials, local building officials, testing labs and universities to ensure new provisions meet fire, life safety, and seismic standards. "Oregon is fortunate to have a system in place at the state level where these and other emerging markets can be developed with all stakeholders at the table," said Mark Long, Oregon Building Codes division administrator. 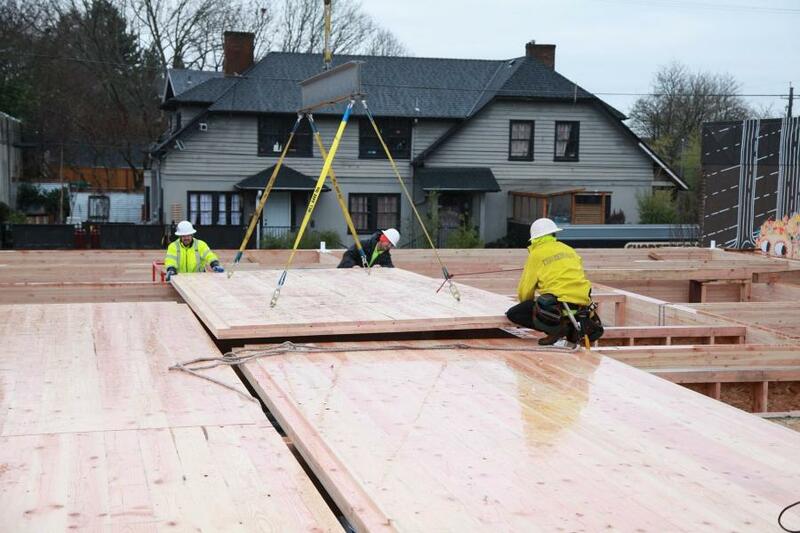 While Oregon is considered among the leaders in the new building technology in the United States, other states also are looking to codify hard wood buildings, Locke said. Oregon looked at what happened in April when the International Code Council proposed 14 amendments to International Building Codes and "decided the science is done and there is no reason to wait for the ICC," he said. "It went ahead and incorporated changes in its codes, effective 2019. It created a statewide alternative method, which incorporates same 14 changes. That becomes effective immediately. Anyone who wants to build a building according to the prescriptions in the statewide alternative method can. The state of Washington is leaning in that direction. They are interested in not waiting. I think the state of California also is not interesting in waiting. I heard the same about Colorado. As that occurs, it becomes easier and easier to build these buildings." Cross laminated timber (CLT), the product that is most commonly used in wood building, was developed in Europe 25 to 30 years ago. "The United Kingdom has seen 500 to 600 CLTs built in the last 10 years. The governmental organizations were like, we are going to build as environmentally sound as we can. They started building public buildings and schools out of CLT and discovered it was cheaper and faster. It took off recently in Canada and more recently in the United States. People look at this technology and start to get excited about it. We're a timber state and we're interested in seeing how it can transform the wood industry." The new technology is popular for several reasons. Wood is an environmentally sound building material. Trees take in carbon dioxide and release it as oxygen. When the trees are harvested and used in building, the carbon dioxide remains in the wood, released only when the wood rots. "You can plant new trees when you harvest," Locke said. "You do that twice in the time a building is designed to last [100 years] and you can really make the built environment a place where greenhouse gases can be stored, like sticking them in a closet someplace. Also, it's the only major building material that comes from a renewable resource. We have the ability to grow all the wood we need. And it takes less energy to produce than concrete and steel. In the case of concrete, the mere fact that you pulverize limestone to make concrete releases carbon into the atmosphere. Concrete will never be carbon neutral." It's also popular for aesthetic reasons, Locke said. Architects like designing with the material and tenants like working and living in the buildings. That can be a bonus for companies looking to hire employees. "Companies want to be in these buildings. They consider them a way to attract a desirable workforce. You can't just pay good money; you have to build a place they want to go to. If you give them a really cool place to spend 10 hours a day that is a difference maker," said Locke. The main concern with mass timber building is that wood burns. But Locke notes, wood also is resistant to fire. "We know how wood burns," he said. "It burns at 1.8 inches an hour. So, for a 2-by-4 — about an inch and a-half thick — it would burn up in less than an hour. If you have a 24-inch thick piece of wood, it is going to take a whole heck of a lot longer to burn." So, in designing the mass timber buildings, extra wood becomes part of the plan. "If we need to get a two-hour fire rating, we can add an additional 3.6 inches on each side. Say, we need a 10-by-10 beam, we make it a 14-by-14 beam so you can lose four inches and still hold the building. "Ironically a lot of these buildings that have been built have steel connectors. Steel won't burn, but it will melt and lose its strength. If you have steel connectors and the connectors fail, the structure falls down. So, they encase the steel connectors inside pieces of wood."